Posted May 3rd, 2012 by Karl & filed under Technology. Knowing what works and what doesn’t when it comes to your website is unfortunately not as clear-cut or straightforward as you’d like. There’s a lot of statistics and analytics involved, and frankly, going through the data in these kinds of reports takes a lot of time and as well we all know, time means money. Instead of putting together site reports and pouring through analytics data to find out why your conversion rates aren’t as high as they should be, you could consider doing some testing instead. There are a number of test methods that you can use for your site. The two most frequently used of these are A/B testing and multivariate testing. Both are similar in the sense that alternative options and variations of site elements are presented to site visitors with the goal of improving site conversions. They differ only in the number of elements that are to be tested in each run: only one is modified in A/B tests, while any number of elements can be changed out in multivariate tests. 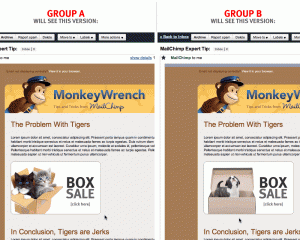 The reason why A/B tests recommend altering only one component at a time is so that the cause for the varied response obtained from site visitors can easily be identified. If this information isn’t something you need, then you could go for multivariate tests instead, since you will be able to save a lot of time with this method. A/B testing is commonly used to test web pages and email marketing campaigns. For websites, here are some elements that you can create variations of: site logo, banner, image placement, site layout, formatting, font size, navigation menu, theme, headlines, featured content, and amount of text on the page. For emails, you can test the following components: sender name, subject lines, greeting, headings, formatting, use of images, and call to action. Set up your test criteria: Before anything else, come up with the test criteria that you’ll be using to gauge your results on. Start out with what goals you hope to achieve from the testing, and go from there. For example, if you want to increase the number of sign-ups you get from your landing page, then the variation that gives you more sign-ups is the one that you should use. List elements to test: This is the part where you assess each and every element of your website. Which parts can still be improved? What changes might result in more conversions for you? Go through your entire site several times and list down the elements you want to run tests on. Create variations of the selected element: Once you’re done with the list, rank them according to priority. Draw up two versions of the element that you’ve chosen to test first and make sure they’re distinct from one another. Run the A/B test: At this point, it’s time to run the test. Some people choose to run their tests with the use of software and applications. 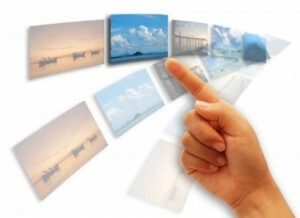 One example is Google’s Website Optimizer, which is accessible for free online. Others choose to hire a third-party provider to conduct their tests for them instead. Most tests run for a duration of several weeks, depending on your site traffic. Interpret results and implement changes: Once your test is done, it’s time to analyze your results. Use the criteria you made earlier to decide which variation is better and implement the changes on your website. Bring up the list of elements that you’d like to test again and run A/B tests on each of them so you can continue optimizing your website. Ruben Corbo is a freelancer writer which specializes in different topics including technology, online marketing with AB and Split Testing and Product Recommendation Engines, music, art, and motivation. When Ruben is not writing he is producing and composing music for short films and other forms of visual arts.